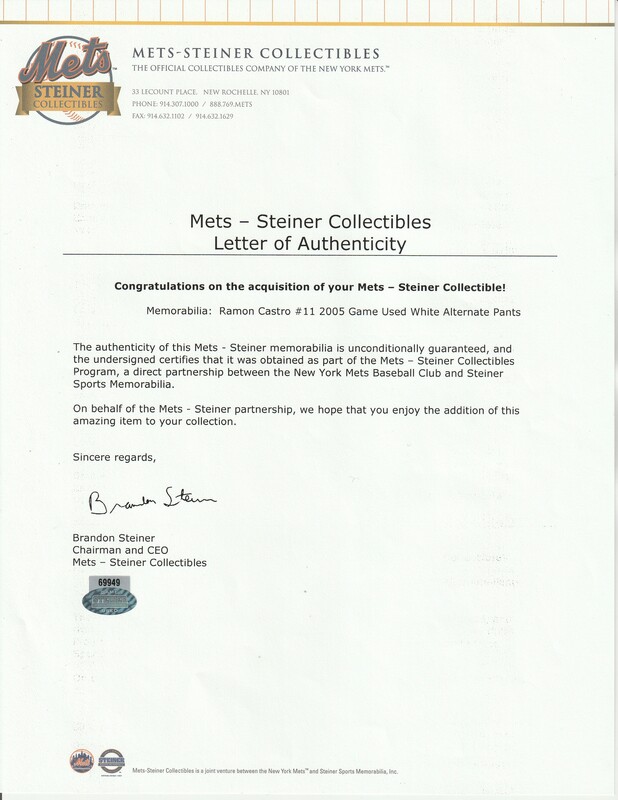 Offered here is a collection of four game used New York Mets pants from various eras. 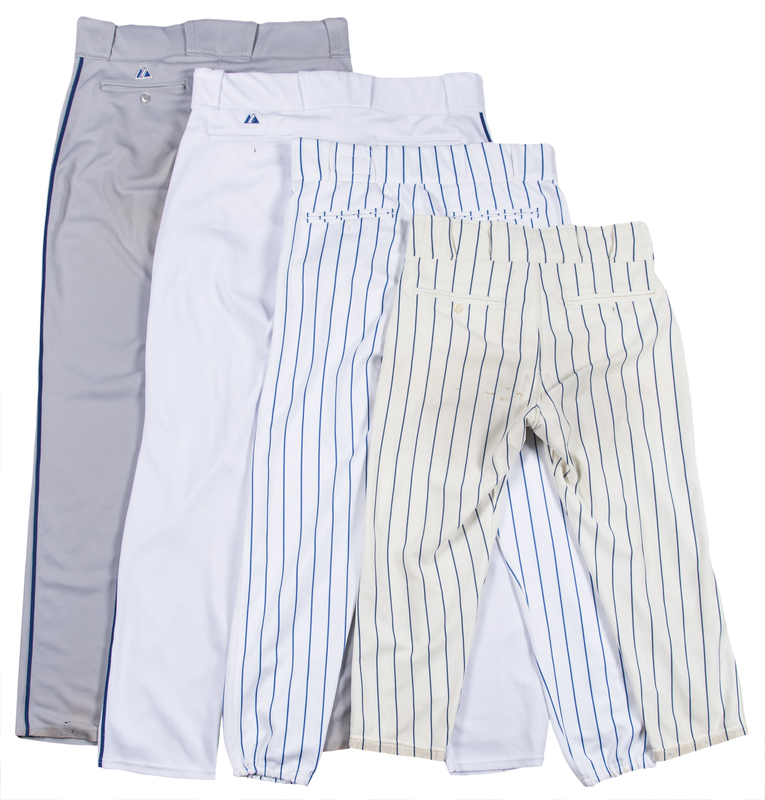 The first pair of pants are white with blue pinstripes. A “35 24 74 33” swatch is sewn on the back inside waistband with “M. Lowry” written next to it in black marker. Michael Lowry was a pitcher in the Mets organization from 1977 to 1981. 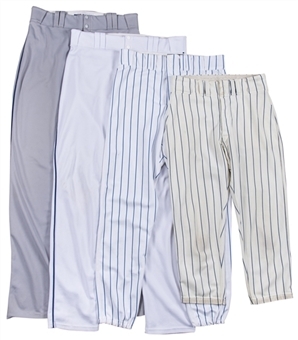 The second pair of pants in this lot are also white with blue pinstripes. Made by AIS, these pants were worn by Masato Yoshii circa 1998-99. An AIS tag is sewn in the waistband next to a “21 Yoshii 98 37/38 x 32 C” swatch. Yoshii’s number “25” is handwritten in black marker on the waistband. 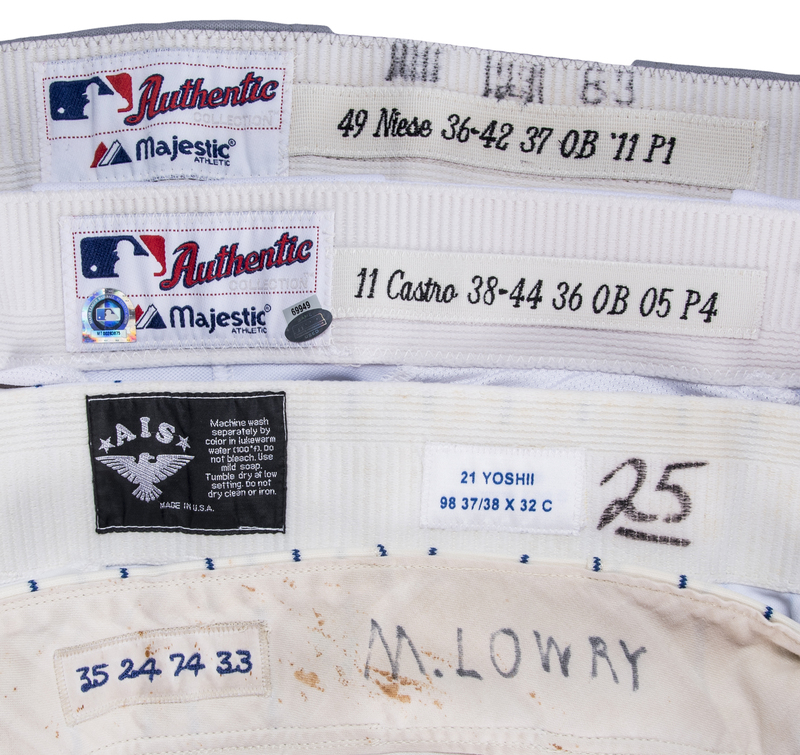 The third pair of pants are white and were worn by Ramon Castro on June 7th, 2005 against the Houston Astros. Pedro Martinez threw a complete game two-hitter to lead the Mets to a 3-1 win. These pants come with a MLB Authenticated hologram (MT 00283875). 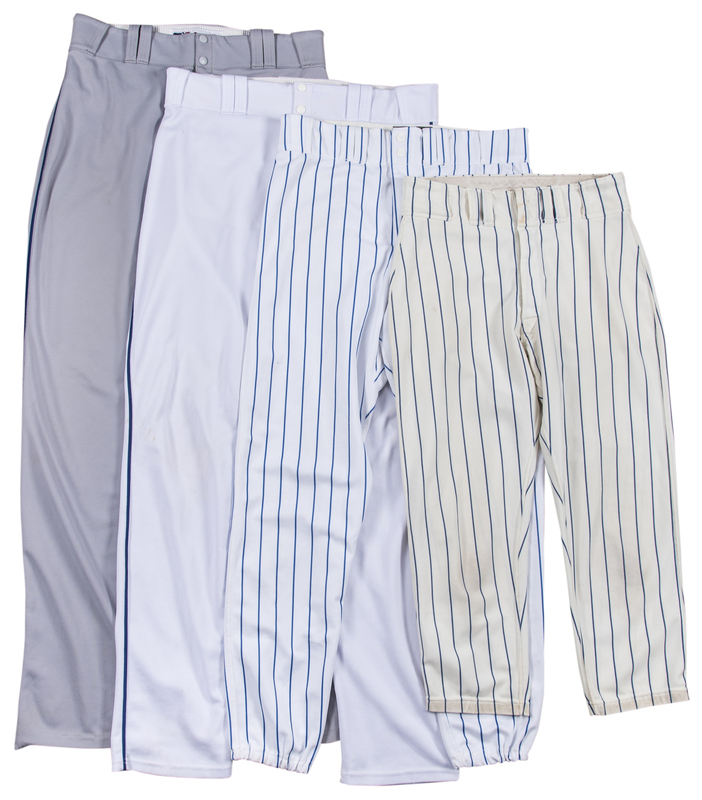 The final pair of pants are gray road pants worn by Jon Niese in 2011. A “49 Niese 36-42 37 OB ’11 P1” swatch is sewn in these pants. 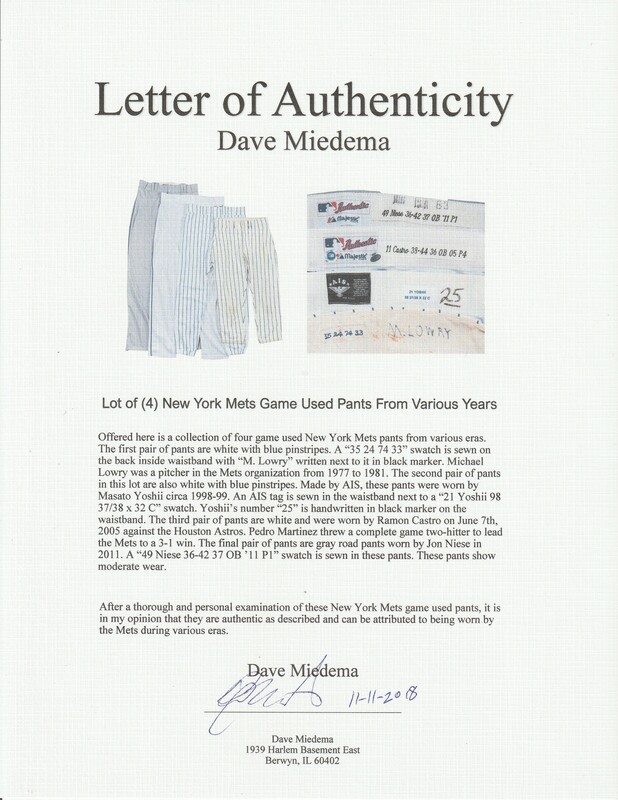 These pants show moderate wear and come with a LOA from noted game used jersey expert Dave Miedema.